Birmingham, Alabama is the largest city in Alabama. It has hot summers, mild winters, and abundant rainfall. Thanks to recent revitalization efforts, it is a great place to visit with the whole family. There are plenty of FREE cultural, educational, and historical things to see and do. 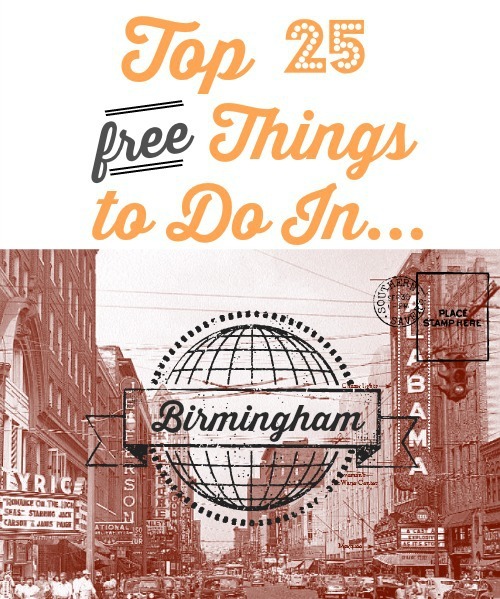 Here are the top 25 FREE things to do in Birmingham, Alabama. You can walk around the district to the sites where headlines were made. There are signs and monuments explaining what took place at the different locations. Be sure to visit Kelly Ingram Park. There are statues depicting scenes from the civil rights struggles. 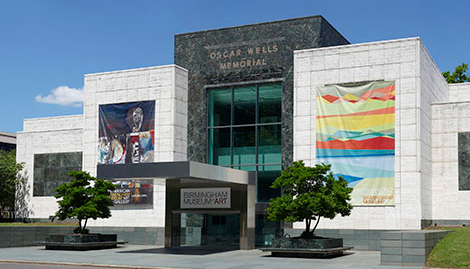 That’s right, the Birmingham Museum Of Art has FREE admission and FREE parking! It is complete with 25,000 drawings, paintings, prints, sculptures and decorative pieces from all over the world. There is even a hands-on area for kids. Railroad Park is a 19 acre green space in the city. The park has an outdoor gym, playgrounds, ponds, a wetlands area, walking track, and more. If you visit during the summer, be sure to check out the Symphony in the Summer free concert series. The park also has exercise classes and free family-friendly performances. The Eternal World Television Network has FREE tours during the week. It is called the world’s largest religious media operation and you can see the studios and control rooms. The network provides shows to more than 150 million TV households worldwide. 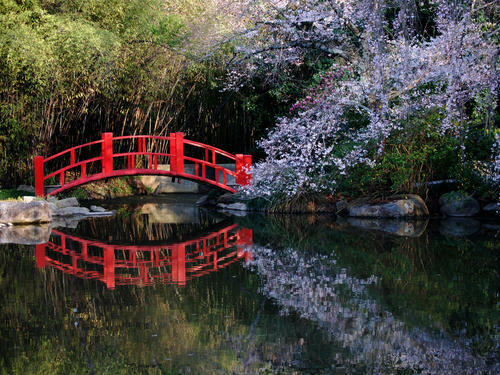 Don’t forget to bring your camera when you visit Birmingham Botanical Gardens! The gardens are Alabama’s largest living museum. There are more than 12,000 plants, 30+ sculptures, two rose gardens, and so much more! This is Alabama’s most visited FREE Attraction and is open daily. Sloss Furnaces is a National Historical Monument. The Sloss Furnaces were used for iron production and now has two 400-ton blast furnaces and some forty other buildings. Ithas free public guided tours on Saturday and Sunday at 1 pm, 2pm ,and 3 pm. The tours last 60 minutes and you do need to call ahead to ensure availability. There are also free self-guided tours throughout the week. The Heaviest Corner Of The World is the name given to the corner of 20th Street and 1st Avenue North. The corner was given this name when the four tallest buildings in the South were built there simultaneously. The Ruffner Mountain Nature Preserve is just a few minutes from downtown with trails, geocaching, overlooks and more! Be sure to print the trail map to plan your visit. There is a suggested donation of $2. Mountain Brook is one of America’s most wealthy communities. The hilly area has large wooden estates in pristine condition. There are shopping and entertainment villages that offer upscale shopping and dining. To keep it free, you’ll just walk to walk around or drive though this beautiful area. The Gardendale Splash Pad is a great place to take the kids during the summer! There is a colorful array of water guns, fountains, sprinklers, and tipping buckets. 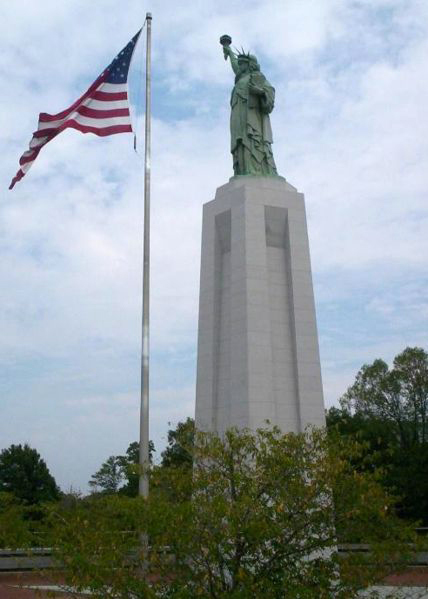 That’s right, you can visit the Statue of Liberty in Alabama! This replica is one fifth the size of the real Statue of Liberty and is located in Liberty Park. The flame is lit by natural gas and has only gone out twice. Take a FREE Golden Flake Factory Tour to see how Golden Flake Chips are made. You’ll get to see all of the steps from potato to snack. Aldridge Gardens is a 30-acre garden with hydrangeas, gallery, lake, and walking trail. There is as summer concert series, classes and seminars, bird walks, fishing days, and more! Every Saturday at The Heart of Dixie Railroad Museum, you can see all of the collections of railway equipment and home of the Polar Express. Entrance to the museum is free, but there is a charge for Train Rides. 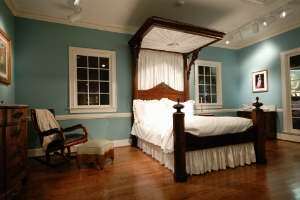 The Museum of George Washington has artifacts and art from the Colonial Period to 1865. Some fun items included are Martha Washington’s Prayer Book, an original 1787 Samuel Vaughn sketch of Mt. Vernon grounds, and writing instruments and tools from George Washington’ s survey case. Moss Rock Preserve has great waling trails among a unique ecosystem called sandstone glade with rare plants, waterfalls, wildlife and more. It is located in Hoover, AL just outside of Birmingham. The Turkey Creek Nature Preserve is a 700 acre preserve. There are three endangered species of fish, hiking, two swimming areas including a natural rock waterslide that ends in a short waterfall. Head into What’s on Second, an antique shop, to see all of the cool knickknacks they have. They are known for having fun and weird items! Red Mountain Park is a great park with trails and awesome views, especially good for watching the sunset. 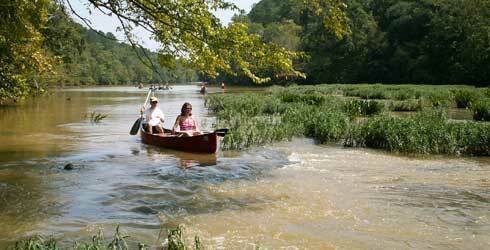 Bring your own float and float down the Cahaba River! There are also rope swings or you can canoe, kayak, and swim! Pepper Place Market is Birmingham’s largest Farmer’s Market. It is held on Saturday with food, clothes, pottery, and more! Walk Jemison Trail and check out the Historic Old Mill. It is 3 miles long and is good for all skill levels. The Cathedral of Saint Paul is one of the most famous Catholic Churches in the South. You can also head to the Cathedral Church of the Advent. 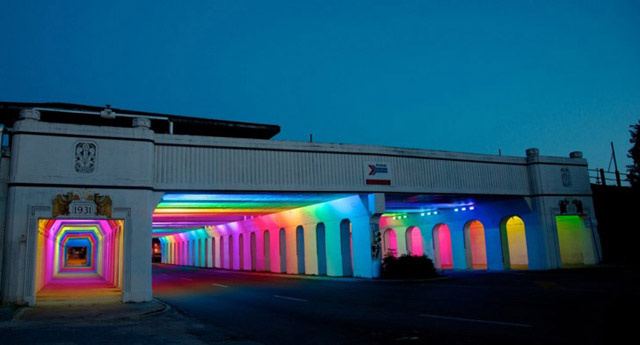 This awesome Color Tunnel is located on 14th street under the railroad tracks. It is a huge network of LEDs installed in the tunnel. This library is more than just books! There are over a million archives from the Civil Rights History, free wi-fi, free children’s activities, free cooking classes, and more! See frugal travel for more FREE city guides!